This Stanley London® beautiful solid brass reproduction of an Engineering Lensatic Compass is available in both polished and antique brass finish. 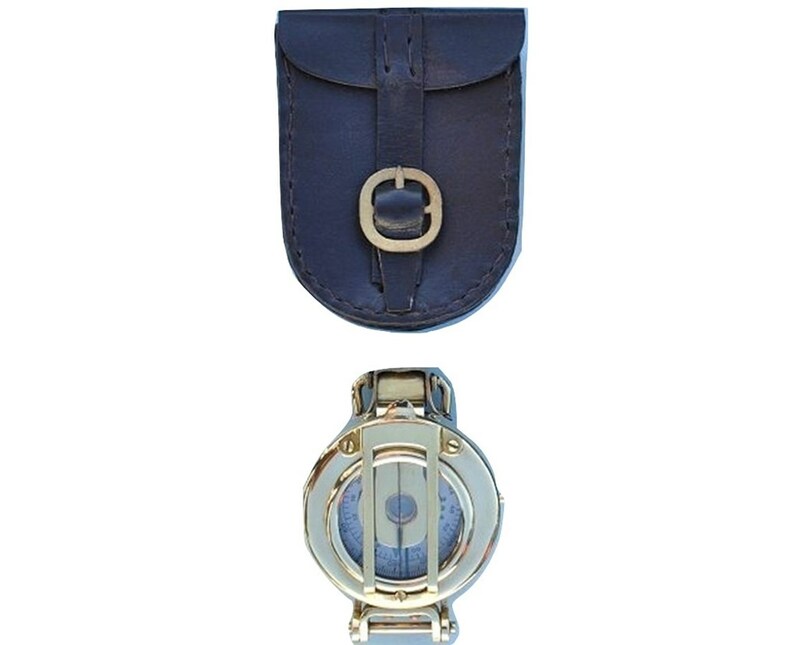 The compass card has the standard 0 - 360 degree scale, as well as the 0 - 64 Mil scale (one yard at 1,000 yards). 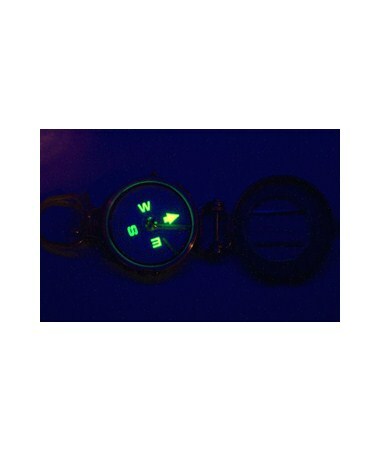 The cardinal points are luminous for easy viewing in the dark, and the compass features a standard glass bezel with two lines at 45 degree angles. The bezel also rotates with detents so you can change the heading reference a known amount without looking at the compass. The lid of the compass has a glass window with a line etched into the glass for use as a rear sight. 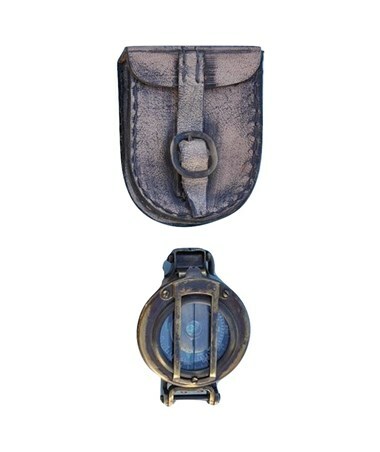 The outside of the compass has a brass guard to protect the glass. 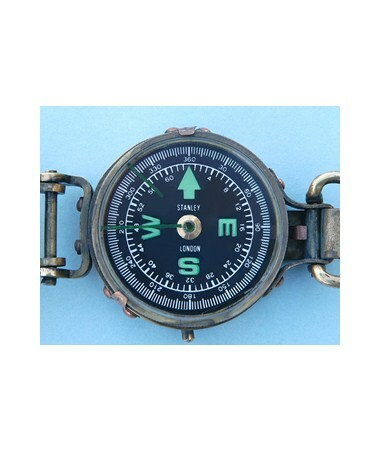 The compass measures 2 1/8 inches (5.4 cm) in diameter, 7/8 inches (2.2 cm) thick, and weighs 4.9 ounces (139 grams). 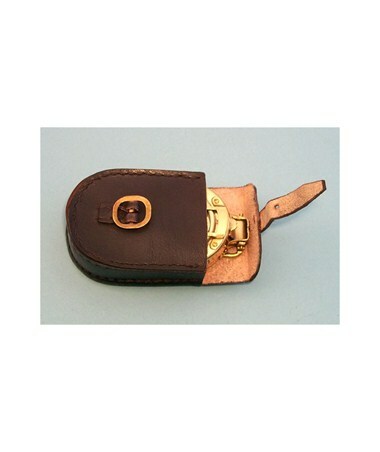 A handcrafted 100 percent leather case is included with the compass. 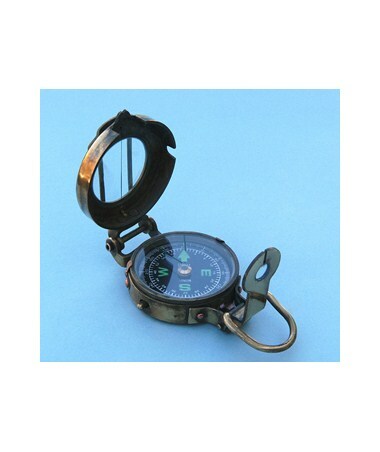 The polished engineering lensatic compass comes with a brown leather case, and the antique finished compass comes with a leather case with a distressed antique brown finish. 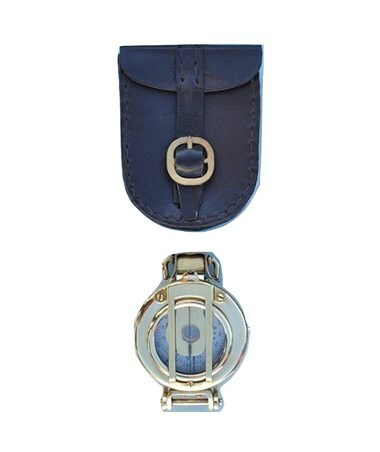 Either case has a rear belt loop for easy carrying of the compass.